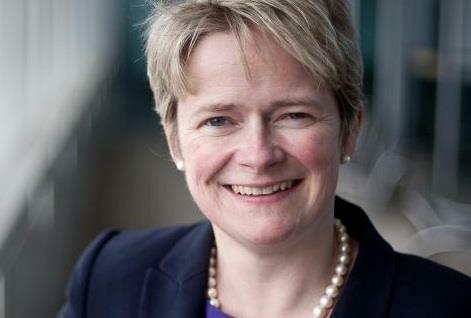 Baroness Dido Harding, a Conservative peer, will be named as the Department of Health’s preferred choice for the job subject to a pre-appointment hearing at the Commons health committee. In June, HSJ revealed she was a leading candidate for the post. The post of NHSI chair is currently filled on an interim basis by Richard Douglas, a former director general of finance at the Department of Health, following the departure of Ed Smith earlier this year. Baroness Harding faced criticism over her response to a major cyberattack on TalkTalk in October 2015, which saw 4 million customers’ data accessed by hackers. She resigned 18 months later. Her husband is John Penrose, Conservative MP for Weston-Super-Mare and a former government minister. She is the daughter of Lord Harding and the granddaughter of Field Marshal John Harding, who commanded the Desert Rats in World War Two. She graduated from Oxford University with a degree in philosophy, politics and economics, where she studied alongside David Cameron. Baroness Harding has also worked for management consultancy McKinsey & Co and held senior roles at Thomas Cook, Woolworths, Tesco and Sainsbury’s before being named chief executive of TalkTalk in 2010. She is a non-executive director at the Bank of England. Jim Mackey, who has been chief executive of NHSI since its inception in 2016 following the effective merger of Monitor and the NHS Trust Development Authority, is due to stand down later this month. The DH said the appointment is subject to pre-appointment scrutiny by the health select committee, which will be invited to hold a hearing “as soon as parliamentary time allows”. It said the appointment process has been managed in accordance with the cabinet office code of governance for public appointments. “In accordance with the code, there is a requirement for appointees’ political activity to be made public. Baroness Harding has taken the Conservative whip in the House of Lords since taking her seat in 2014. She is also married to John Penrose, Conservative MP for Weston Super Mare. Chris Hopson, chief exectuive of NHS Providers, said: “Having met Baroness Harding, at her request, during the selection process, I was impressed with her understanding of the requirements and subtleties of the role, her willingness to listen carefully and her obvious passion for the sector. If the select committee confirms her appointment, all of us in the provider sector look forward to working closely with her”. Story updated to include quotes and DH statement.